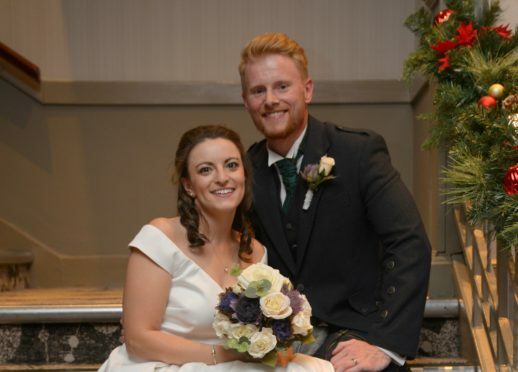 Lee and Lucy Gilray's reception was 'ruined' by rampaging students from Aberdeen University's medical society. A north-east couple had their wedding ruined by “rampaging” students at an Aberdeen hotel during a melee which left a gran with a severe head injury. 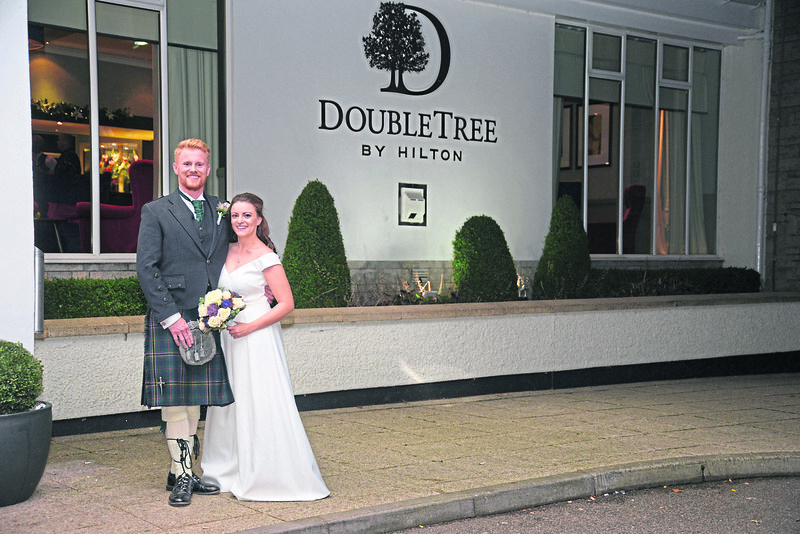 Ellon pair Lee and Lucy Gilray’s reception was held at the DoubleTree by Hilton Aberdeen Treetops on Saturday, at the same time as the Aberdeen University Medical Society had a social function at the venue. But their evening took a turn for the worse when the students’ party spiralled out of control leaving guests at the wedding reception frightened and feeling threatened. Lee and Lucy Gilray at DoubleTree by Hilton Aberdeen Treetops. He said: “They damaged property and intimidated and scared our guests. Mr Gilray’s sister, Ashley Wilson, said the special family occasion had been “ruined”. “I’m just gobsmacked at how appalling their behaviour was,” she said. “This is the future of the NHS, and their behaviour was just disgusting. “They vandalised things, they vandalised the bathroom, threatened guests, they were throwing crockery, bottles and glasses in the middle of the car park. “They also managed to knock down three heavily cemented bollards. “They just rampaged through everything in their path. Both the university and medical society said they were working together to establish what had happened. Meanwhile, the students’ association said the organisation did not “condone or tolerate” anti-social behaviour of any kind. “We expect students to represent the students’ association and conduct themselves in a manner which demonstrates respect for their environment and the wider community. A spokesman for Hilton Treetops said the hotel had appropriate security and management present on the night.